Disability Retirement -- BOOM! it comes on suddenly -- and you can't work. You haven't planned for this, you don't have income protection, you don't have a big savings account, and you can't stop working as you need health care (especially now when you aren't well). Do you have ANY Disability coverage? Did you injure yourself at work so that you can apply for workers compensation? Does your employer offer disability insurance (short term or long term)? 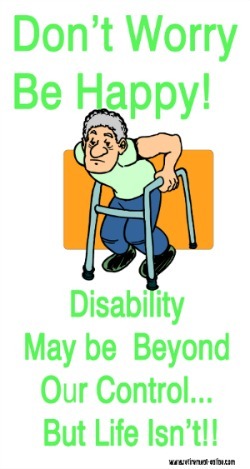 Do you realize that if you can no longer work, you can apply for Social Security Disability? You have to be expected to not work for at least one year, and you really need to document your medical history, but that might b a possibility for you. The Public Health Corps has provided their Top Ten resources for Disability Help and I think they will really help you through the maze of disability options. Assuming you get approved, you generally live on less, as you had less working years to save for your well-funded retirement. But, you will move on, learn to live on less, and let your mind and body heal while you simply live a different lifestyle! The bottom of this page has articles written by disability retirees on how they retired and how they live life! You still have a life and need to decide how to be productive and busy... there is life beyond your disability. Disability Retirement Stories: Written by Retirees who have been there and done that. Marge shares her disability, then retirement experience from years ago. Doreen has an great way of looking at life... a very positive gal! Discover Yourself, all about self-reflection. Jean rides her senior citizen scooter! This is Peter from Canada and his story on how his new scooter helped his retirement depression! Irene doesn't have a disability, in fact, she "has no time" for depression... so I thought I'd add her seniors and computers article here! Continue reading the Disability Retirement submissions, written by retirees, below! Please consider adding YOUR STORY -- Let others help you through this! Do you have an experience to share with others? Your knowledge could help another retiree out there, good or bad, maybe just a warning on what happened to you. If you have found useful things, like the Scooter stories, please share your experience with readers! Enter Title of Your Disability Retirement story here. 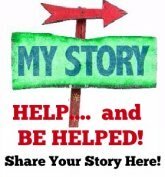 Click here to tell me your Disability story... please share to help others! Learn from others... Check out their Two Cents on Disability Retirement Issues!! Disability: I grieve for my life! Captain of Industry to Captain of the Sofa!! :) What now? Finding new hobbies and creativity and inspiration and new passions in a nursing home at 68. Retirement: What did I do wrong? Being on Disability does Not mean my life is over! Disability Retirement, with Children, AND a good attitude about life! Disability Hits Unexpectedly.. Save Save Save!